The Rezidor Hotel Group is to open its second Cape Town property in 2014. 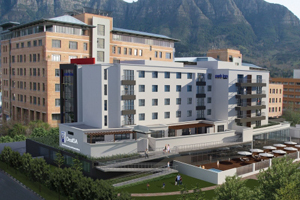 The Park Inn by Radisson Cape Town Newlands will offer 122 rooms, a business lounge, an outdoor swimming pool and multi-purpose meeting and function facilities, with capacities yet to be confirmed. The hotel will be located close to a number of sports stadiums and is the second Park Inn in the city. Rezidor also has two Radisson Blu hotels in Cape Twon, one in operation and one that is currently under development.